ColorPop Cosmetics has another high-profile beauty collaboration in the works. The LA-based brand has joined forces with beauty influencer Shayla Mitchell on a new makeup collection launching April 27, as reported by Allure. 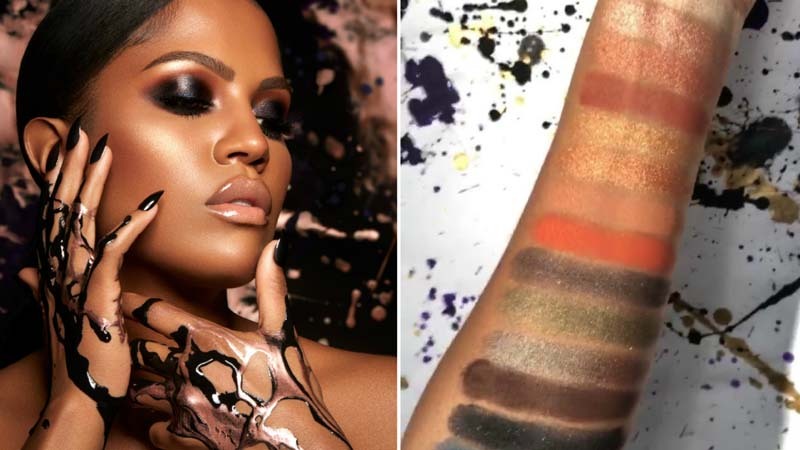 The beauty star, who counts 2.6 million followers on Instagram and has amassed over 540,000 subscribers to her YouTube channel Makeupshayla, has come up with a colorful collection for eyes, lips and face. The series includes a 16-shade "Perception Palette," two highlighters, a lip gloss and three lipsticks. "This collab means so much to me, I put my heart and soul into it," the influencer said in a YouTube video offering a sneak peek at her collection. "The colors had to be perfect and they are." In teaming up with ColorPop, Mitchell is following in the footsteps of a host of big beauty names, including actress and model Jaime King and beauty influencer Eva Gutowski. Beauty vloggers and Instagrammers are increasingly being snapped up by major brands for collaborations, with recent examples including the "Patrick Starrr X MAC" collection, the "Kandee Johnson X OGX" series and the collaboration between influencer Kristen Leanne and Urban Decay.